Mace ORMD Hot Pink Pepper Defense Spray . 10% formula. Flip top safety cap prevents accidental discharge. Finger grip dispenser for accurate aim. Contains about 10 short bursts with an effective range of 8 to 12 feet. Net weight 18 grams. Hot pink plastic casing with keychain and belt clip. Hang packaged. 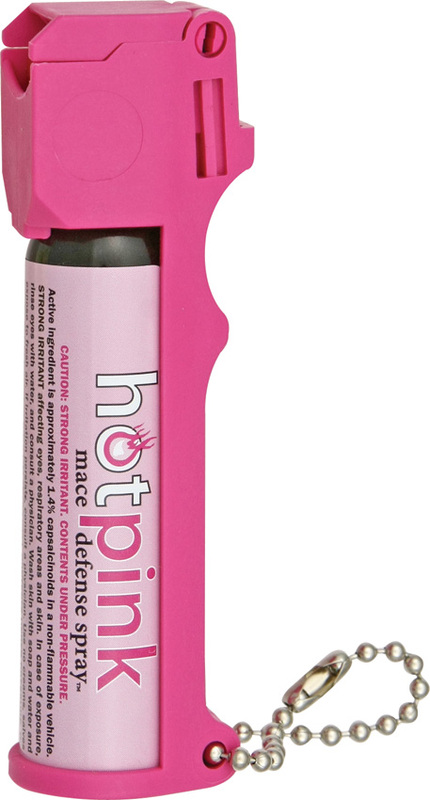 Do you own Mace Pepper Defense Spray Ormd self defense MSI80347? Tell us about it! Have a question? Ask!